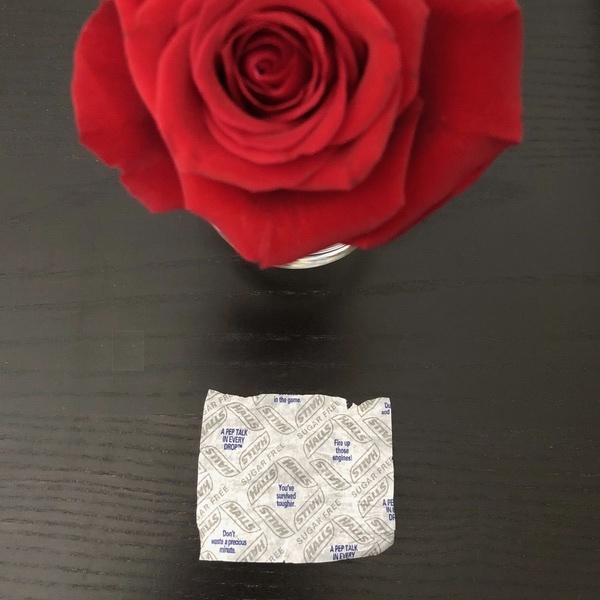 This Valentine’s Day, please allow me to share a list of ten inspirational phrases said to me by the wrappers of Halls sugar free cough drops as I struggled with a cough. Don’t waste a precious minute. Flex you “can do” muscle. Dust off and get up. You got it in you. Don’t try harder. Do harder! Halls actually paid someone to come up with this idea, as well as to write and/or crib these little phrases. What a world we live in.